Search Engine Marketing is a general term used to encompass services such as: Search Engine Optimization (SEO), Pay-Per-Click (PPC), Local Search Marketing, and Video Optimization (Video SEO). 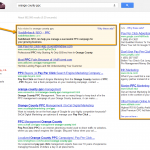 These core services are generally the backbone of our Orange County Internet Marketing services and provide the best overall results. 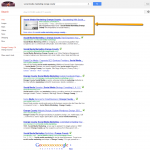 Search Engine Marketing is commonly used to explain any online marketing strategies that are meant to allow your business to be prominent in search engines like Google, Bing, Yahoo! and YouTube. See our set of screenshots below to help you differentiate between these services. Search Engine Optimization (SEO): SEO involves many different aspects that will encourage higher organic ranking in search engines. This type of marketing is very powerful because it targets internet users that are actively searching for products or services like yours and are, therefore, very hot leads for your business. Pay-Per-Click (PPC): Pay Per Click advertising is used commonly on many different platforms, most notably on Google and Facebook. 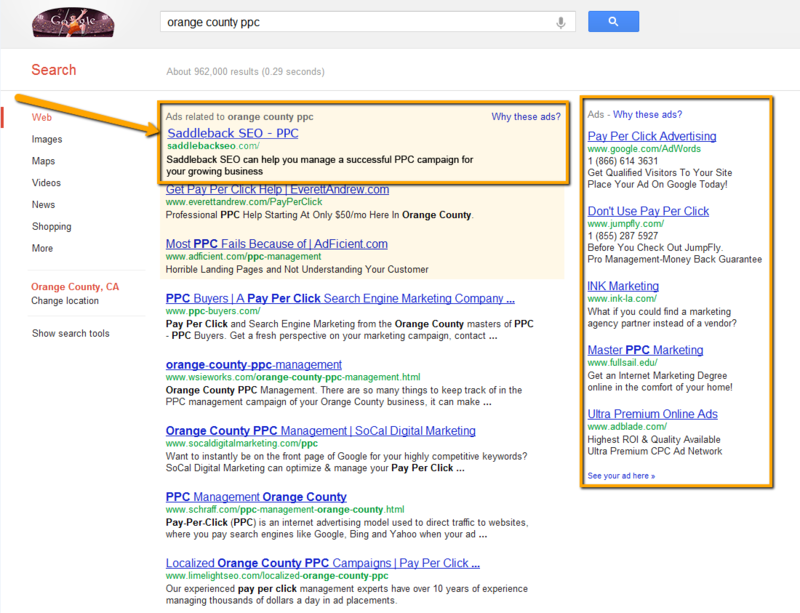 The advertisements featured at the top and right side of the page are forms of PPC. Businesses create these ads and pay based on the amount of clicks converted from these ads. 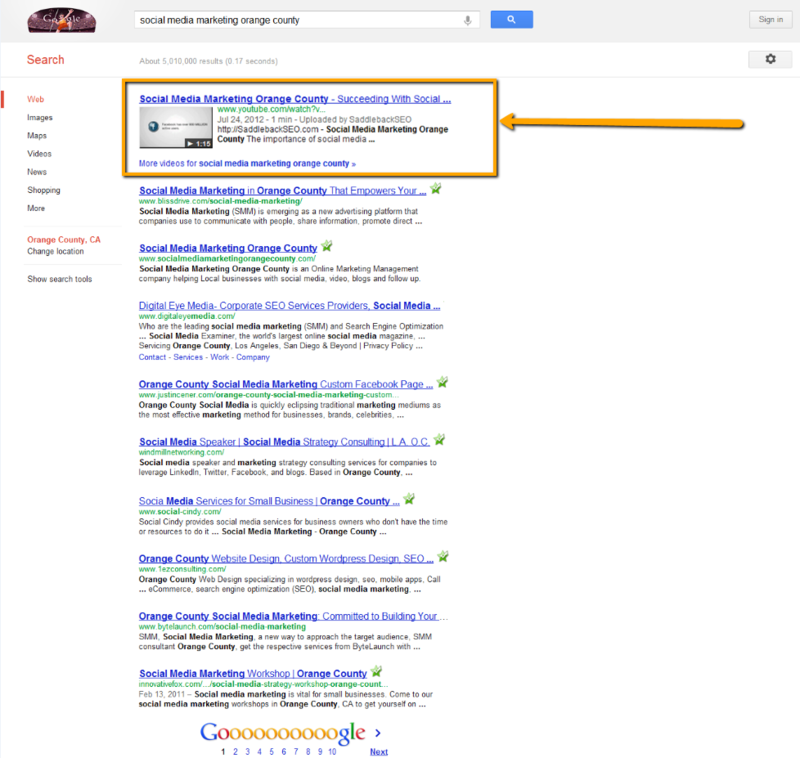 The cost per click may differ depending on the search term or parameters you are using to target your audience. 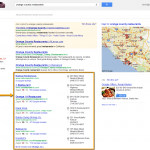 Local Search Marketing: Local search marketing focuses on Google Maps and Google Plus Local listings (formerly known as Google Places). 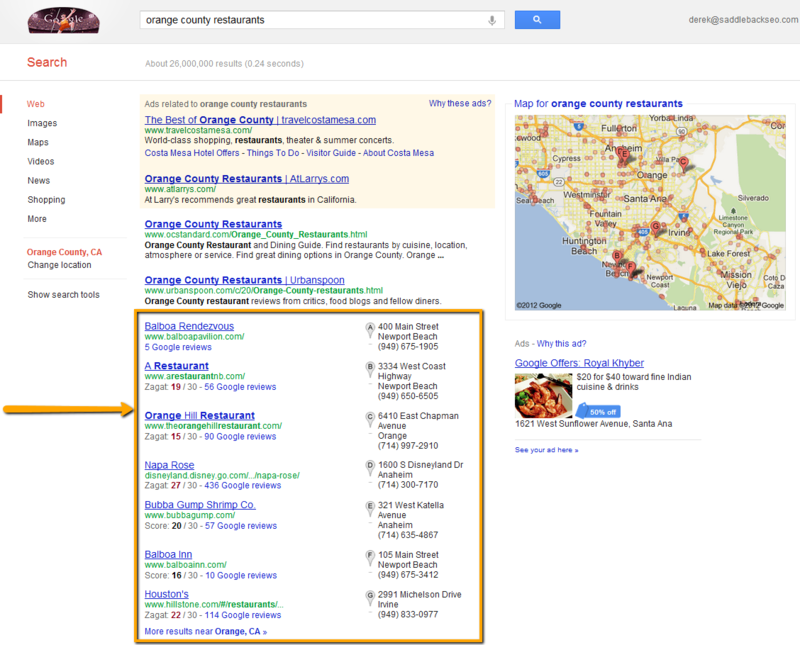 These search results show up within certain search results that are locally or regionally targeted (ie: “Orange County Restaurants“). These listings are characterized by pins with letters A-G and are associated with a map shown on the right of the search results. For local businesses, this strategy is arguably the most effective and may yield the best results. Video Optimization (Video SEO): Many businesses underestimate the power of video optimization in the internet realm. It is a little-known fact that YouTube (not Bing), is the second largest search engine on the web. Having a powerful video to convey your business’s message can do wonders for your company. 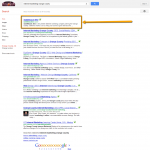 After creating your video, it can be infinitely beneficial to rank your video among a primary search term. It’s like showing a commercial to a supremely motivated potential buyer. 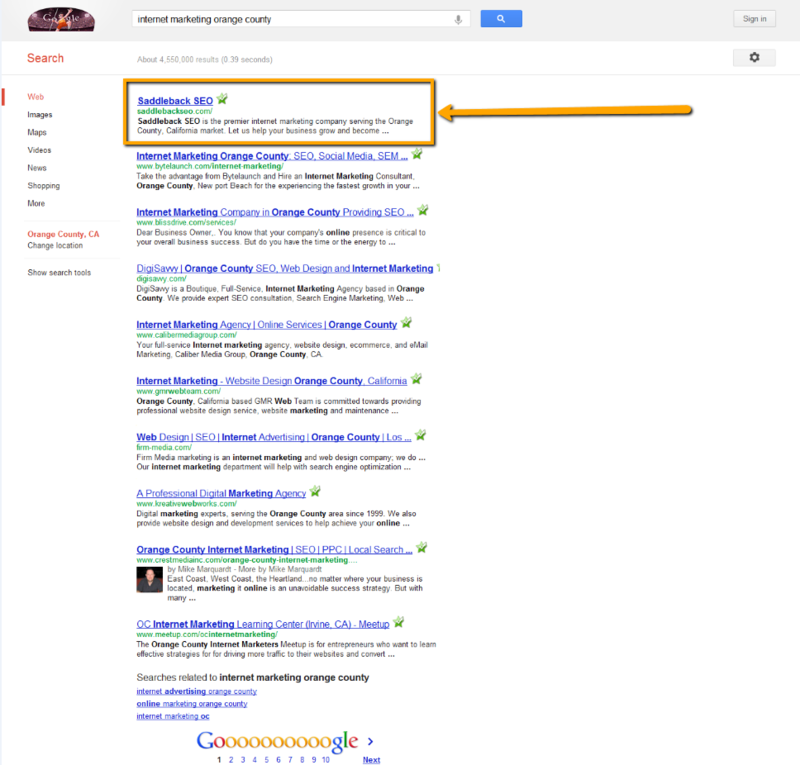 * Results shown in screenshots are meant to clarify our services and may not represent current search results.